BAPE goes for the gold with the latest edition of the Bapesta, featuring a crispy white leather upper and metallic gold details. 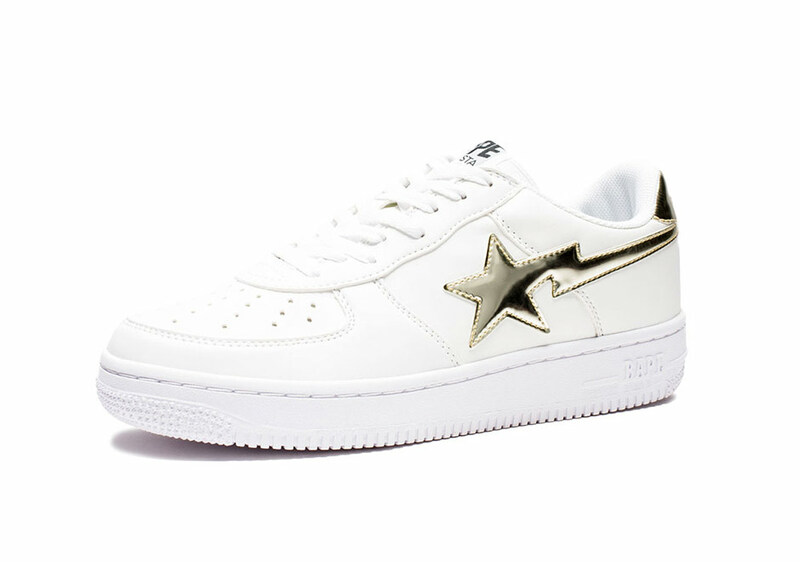 The world’s most glorified Air Force 1 copy keeps it clean this fall with the luxe look, featuring “liquid metal” caliber gold Bapesta stars shooting across each side with a heel tab to match. 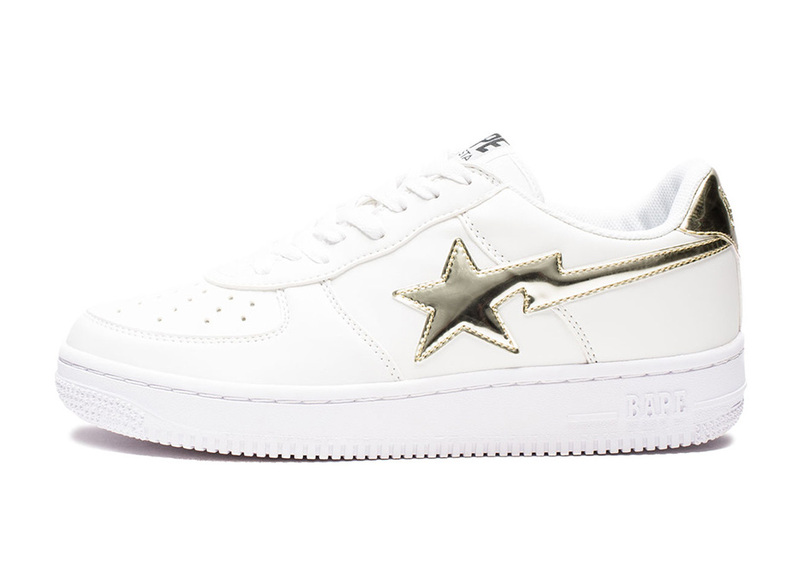 BAPE fiends can find the “Metallic Gold” Bapesta arriving now at global stockists including Undefeated.